Robust optimization is still a relatively new approach to optimization problems affected by uncertainty, but it has already proved so useful in real applications that it is difficult to tackle such problems today without considering this powerful methodology. 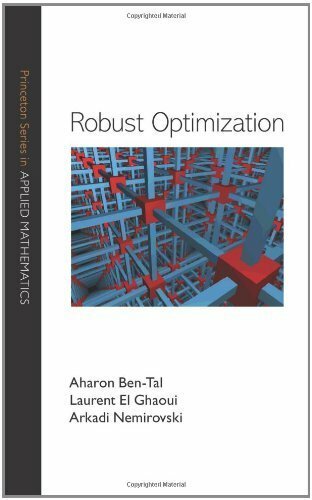 Written by the principal developers of robust optimization, and describing the main achievements of a decade of research, this is the first book to provide a comprehensive and up-to-date account of the subject. These are notes for an introductory course in linear programming. The four basic components of the course are modeling, solution methodology, duality theory, and sensitivity analysis. We focus on the simplex algorithm due to George Dantzig. Contents: Differential Calculus in Normed Linear Spaces; Minimization of Functionals; Minimization Without Constraints; Minimization with Constraints; Duality and Its Applications; Elements of the Theory of Control and Elements of Optimal Design. Aimed at mathematics and engineering graduate students and researchers in the areas of optimization, dynamical systems, control systems, signal processing, and linear algebra. The problems solved are those of linear algebra and linear systems theory.